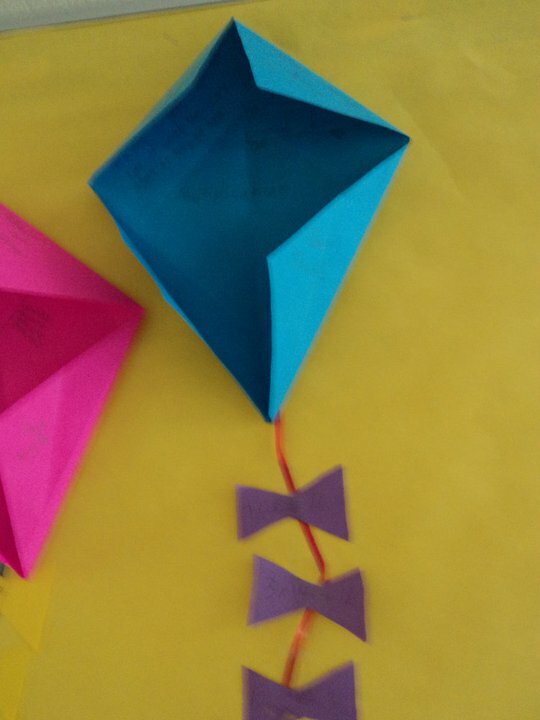 Using paper folds similar to those used to make a paper airplane, we make kites which open/close by folding over. The students write a multiplication story problem for a friend to solve. The story is written under one flap on the kite. The second flap has a drawing of the multiplication array to help solve the problem. The third flap has repeated addition to show the solution to the problem. The final flap has the appropriate multiplication fact family. Students also cut out "bows" for the kite's tail and wrote the fact family on those as well. These were taped to curling ribbon "tails." 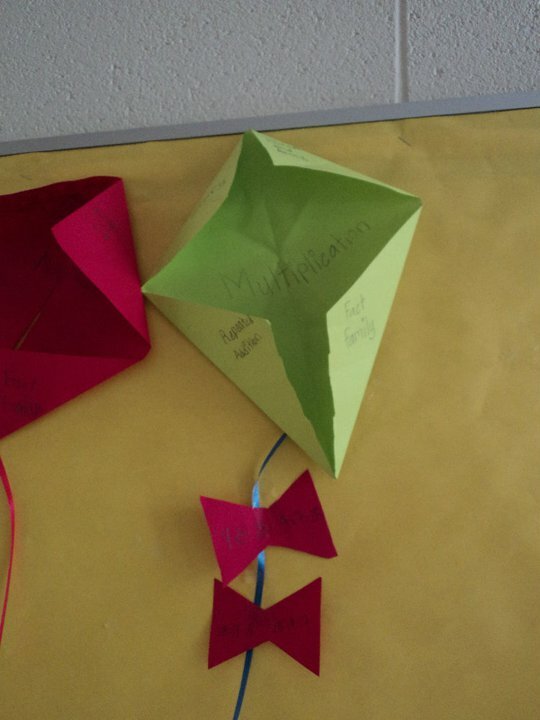 The Synonym Flowers, Butterfly Life Cycles, and Multiplication Kites were used for end-of-year review for second graders. Antonym Ants can also be added. :) E-mail me or leave a comment if you want detailed instructions for folding the kites. Great idea! Thanks a lot!